These tags were inspired by a set of stamps and dies I got free with a magazine I purchased at Barnes and Noble. The magazine, Papercraft Essentials, is a British publication. 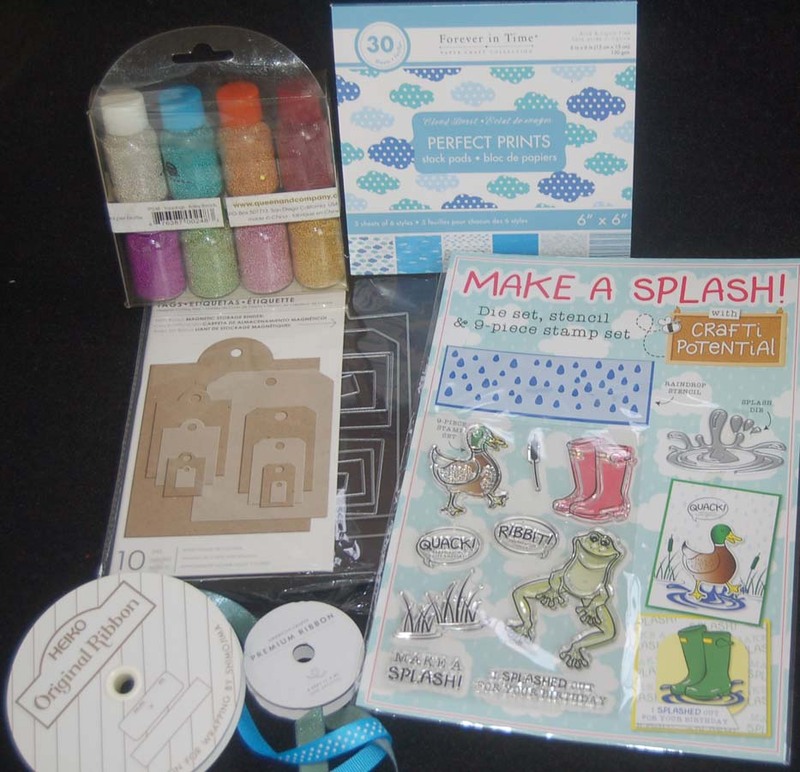 In this issue there are lots of ideas for using the stamps and dies. I thought it would be fun to make a shaker tag that when shaken would sound like rain. I started with paper from a pack that had lots of blue rain themed papers. Using the Little B tag die (from a set), I cut a front piece, foam layer and tag back. I tried two methods to make the shaker part that holds the Queen and Co. micro beads. In the end I went back to using foam tape around the edge of the tag because this allowed the beads the most room to slide and make noise. Tip: Some foam sheets have an adhesive sticky side so don't forget to pull off the paper before you stick it down. For the rubber boots tag I used shiny, dark blue foil paper for the back layer. This along with the silver beads gave the watery look and sound of rain. This similarly made tag has a very different look because of the image and paper used. 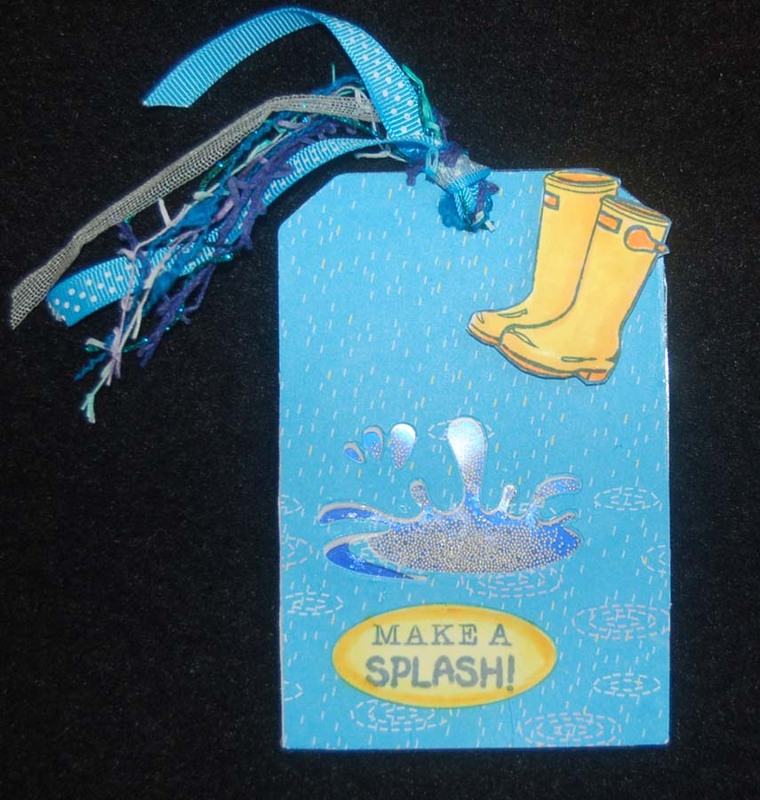 For this one I used metallic blue micro beads but I should have put a foil behind the splash like in the other tag. Both tags have ribbons that I chose to coordinate with the look of the tag.....I love finding just the right ribbon from my stash...so worth having a 25 -year -old ribbon stash! It was extremely satisfying to complete the tags using mainly the free items from the magazine.,,,super deal! I have plans for more tags and cards with the rainy day set... so keep reading my blog for more ideas. Thanks for visiting! how totally cute.. 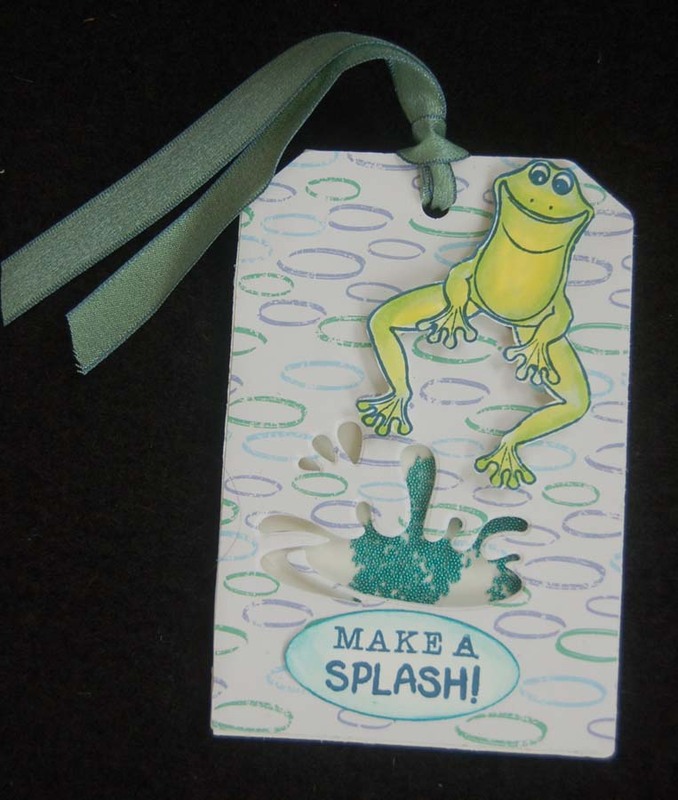 I love shaker tags.. your so creative and such fun designs.